Complete with original maps, photos, and the skillful writing readers have come to expect, this book delves into all the issues, analyzing the campaign from an operational standpoint. David A. Powell is a graduate of the Virginia Military Institute (1983) with a BA in history. He has published numerous articles in various magazines, and more than fifteen historical simulations of different battles. For the past decade, David’s focus has been on the epic battle of Chickamauga, and he is nationally recognized for his tours of that important battlefield. 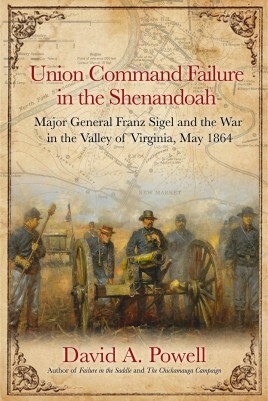 The results of that study are the volumes The Maps of Chickamauga (2009) and Failure in the Saddle (2010), as well as The Chickamauga Campaign trilogy. The Chickamauga Campaign: A Mad Irregular Battle was published in 2014, The Chickamauga Campaign: Glory or the Grave appeared in September 2015, and the final volume, Barren Victory, was released in September 2016. David and his wife Anne live and work in the northwest suburbs of Chicago, Illinois. He is Vice President of Airsped, Inc., a specialized delivery firm. "Too Much for Human Endurance"